Next Tuesday, St. John’s Men’s Basketball team will tip off on their most promising season in years. The Red Storm haven’t made the NCAA Tournament since 2011, and haven’t captured a Big East title since 2000. But with the addition of superstar transfer Mustapha Heron to pair with their already NBA-bound point guard Shamorie Ponds, a trip to March Madness seems highly likely, and capturing a Big East crown is not unfathomable. The Johnnies are not ranked in the Associated Press Top 25 or USA Today’s coaches poll, but they were one of 24 teams to get some votes in the coaches poll, and were one of 28 teams that received votes in the AP poll. Basically what this means is that some of the so-called experts think the team has a chance to be good this year. To make the 68-team NCAA tournament you either have to win your conference tournament or have a good-enough season to get an at-large bid. The Big East is going to be competitive once again. Beat reporters and prognosticators have slated St. John’s for a fourth or fifth place finish behind perennial powerhouses Villanova and several other top programs including Marquette, Xavier, Providence and Butler. But after Villanova — a clear consensus top team in the conference and last year’s NCAA champions — it’s harder to separate the teams. A second-place finish for St. John’s in the regular season would hardly be a surprise and would guarantee a trip to March Madness. Last year, six Big East teams made the tournament. The reason for all the optimism is that the team is as talented as they have been in nearly a decade. Ponds was recently named the Big East Preseason Player of the Year, an honor bestowed by the Big East coaches, who are clearly worried about playing against the quick and talented offensive star. 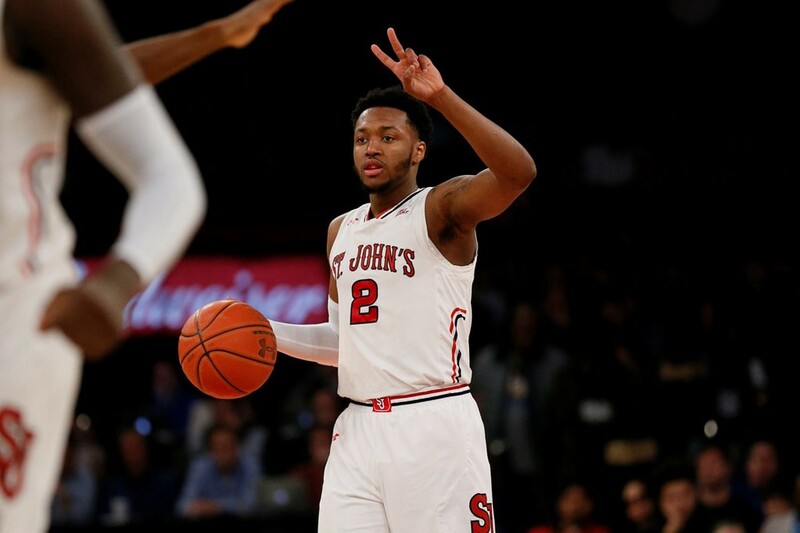 Ponds is only a junior, but this could be his last year at St. John’s, with 2019 mock NBA drafts predicting he could be picked anywhere from the late first round to the early second round. The projected starting five has several other blue-chip recruits — including Heron, who originally declared for the NBA draft in 2018 but then pulled out and transferred from Auburn to St. John’s — as well as Marvin Clark II, Justin Simon and Sedee Keita. The Red Storm’s first game of the season will be against Loyola-Maryland, with a 6:30 p.m. tip-off. Also named to the Big East Preseason First Team was Queens Village native Jessie Govan, who plays for Georgetown.